If you have time to start a tournament then you need to make sure you have time to finish it. If YOU CAN NOT HOST A TOURNAMENT.....THEN DON'T START A THREAD ABOUT IT! If you CAN NOT AI, then find someone to help BEFORE starting the topic. READ and follow the rules BEFORE posting! The countdown given in parenthesis after the deadline was updated when you loaded this page (it doesn't update itself while you are on this page). The deadline is based on the base 120 day limit along with possible extensions granted to tournaments upon entering into signups. If a tournament goes beyond this point, it may be cancelled by the moderating staff and the host will be penalized. This ban period can be removed if you complete your expired tournament, however you must PM Geice proof of progress before having your thread unlocked. If you have not hosted a tournament before the entry list size cannot exceed 16 entrants. The entry size limit includes any wildcard bracket you may wish to include. You may start a tournament with more than 1 bracket, but the total should still not exceed the limit (for example, a 16 bot tournament could have a 8 bot LW and a 8 bot HW division). 1 entrant consists of 1 robot, however if the tournament is made of a single team-based bracket, each entrant may enter up to 3 robots. Multibots and robots with interchangeable weapon systems count as 1 robot. To move your tourney to signups, you can then submit your tournament for approval by PMing , where the rules will be screened. From the day your topic is moved into signups, you will have 4 months to complete your tournament. However, if host wishes to have more time to host their tournament (maximum of 9 months), they may apply for more time by pm'ing Geice. The amount of time they get allocated will be judged based on premise and intended size. For example, a tournament like this would be allowed to run for 9 months, whilst a tournament like this would not be able to have any deadline extension. Tournament Bailing will result in your thread being locked and a temp ban from starting another Discussion topic for 9 months after the expiry of your previous tournament. You must not edit any entry you receive unless it is a necessary addition, or edit, to their smartzones (wiring is, also, an obvious exception). Any and all edits to problematic entries MUST be left to the entrant. Any failure to not abide by this rule will result in all matches in which the bot took part in being redone (and any subsequent matches it affects) in order for the entry which was unjustly edited to be represented correctly. If the original entry is problematic and is against the rules of the tournament, the builder must be contacted and be given at least 24 hours to fix the issue, assuming they were not contacted before signups closed. If the builder does not respond or does not wish to edit their entry, the bot must be removed from the tournament and the tournament restarted. If a host breaks this rule and does nothing to remedy the situation, their thread will be locked and a hosting ban of 1 month will be applied. Basically, once you are finished with your tournament just toss Geice/Guldenflame a pm saying "tournament completed", "tourney finished", "I like pink bicycles btw I finished my tournament", "when's the forum hierarchy coming out btw i finished my tournament", whatever.. This is to let the tournament staff know that you are done with everything (including the awards thread if you are having one). Your tournament will be removed from the active tournament lists as the recipient next logs in. Please don't inform the tournament staff when someone else finishes a tournament, its the hosts job to decide when its done. Please don't send more then one pm "sign off" if the information isn't updated as fast as you want (we all have outside lives too). Please don't start a new discussion topic before signing off. (7/8/2017) Removed HFT5: Live and GTM Robot Wars from Active Tournament List and removed point from/applied ban to helloface199 and Craaig. (7/1/2017) Added Father and My Wife's Son and GTM Live to Active Tournament List. (6/24/2017) Added Asbestosstar's robot evento uno to Active Tournament List. (6/20/2017) Removed Iron Fighters from Active Tournaments List and gave RedAce host point. (5/26/2017) Added Light vs Dark 2 and 3 to Active Tournament List. 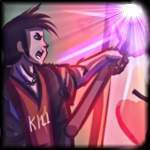 (5/22/2017) Removed Math Adventures: Good Robots Die from Active Tournaments and gave host point to Thrackerzod. (5/22/2017) Removed RA2 Mafia from Active Tournaments and gave host point to Badnik. (4/1/2017) Added Another DemonOfTomorrow IRL Tournament, Math Adventures: Good Robots Die, and RA2 Mafia to Active Tournament List. (3/26/2017) Added Iron Fighters to Active Tournament List. (3/26/2017) Added crapcan derby 2017 to Active Tournament List. (3/23/2017) Removed ironyforge tornoment and Annihilation Nation from Active Tournaments List. Gave host points to Thrackerzod and DemonOfTomorrow. (3/22/2017) Added Forest Fire to Active Tournament List. (3/13/2017) Added I Fought The Law to Active Tournament List. (3/9/2017) Removed BBEAMS from Active Tournament List and gave point to 090901. (3/7/2017) Removed The Cybernetic Colosseum from Active Tournaments List and gave point to Badnik. Also removed SFTW Showdown from Active Tournaments List and gave point to wakkydude. (2/12/2017) Removed RNP Sword of Glory from the Active Tournament List. (2/11/2017) Added HeavyDerby II to Active Tournament List. (2/8/2017) Added TheGamer's Robot Wars to Active Tournament List. (1/21/2017) Removed Death-Defying Decemberween Demolition Derby 2 and What Doesn't Kill You Makes You Stronger from Active Tournaments Lists and awarded points to Thrackerzod and Kurt, respectively, for their successful tournaments. Added ironyforge tornoment to Active Tournament List. (1/19/2017) Added Annihilation Nation to Active Tournament List. (1/15/2017) Added Light vs Dark to Active Tournament List. (1/9/2017) One Shot Showdown, RoboGauntlet removed and points awarded. (11/19/2016) Added Robotic Murder Party to Active Tournament List. (11/18/2016) Removed Heavy Derby and Beat the Clock from Active Tournaments Lists and awarded a point to WenXiangLee and dragonsteincole for their successful tournaments, respectively. (11/17/2016) Removed Death Battle from Active Tournaments Lists and awarded a point to DemonOfTomorrow for a successful tournament. (11/15/2016) Added 1-Shot Showdown to Active Tournament List. Removed Chassis Swap-Up from Active Tournaments Lists and awarded a point to Badger for a successful tournament. (11/14/2016) Removed The Sui Generis Wars from Active Tournaments Lists and awarded a point to Hi5er for a successful tournament. (11/13/2016) Removed Stock Scramble from Active Tournaments Lists and awarded a point to Geice for a successful tournament. (11/12/2016) Removed Ribcage Rampage from Active Tournaments Lists and awarded a point to Thrackerzod for a successful tournament. Added Death-Defying Decemberween Demolition Derby 2 to Active Tournament List. (11/5/2016) Removed Wild Card Rally and Battle Arcade from Active Tournaments Lists and awarded a point to Guldenflame and Silverfish for their successful tournaments, respectively. (10/26/2016) Removed Wheely Tag Tournament from Active Tournaments Lists and awarded a point to Mouldy for a successful tournament. (10/23/2016) Added Death Battle to Active Tournament List. (10/21/2016) Added Toreo to Active Tournament List. (10/17/2016) Added What Doesn't Kill You Makes You Stronger to Active Tournament List. (10/14/2016) Removed Scrapheap Challenge from Active Tournaments Lists and awarded a point to Kurt for a successful tournament. (10/11/2016) Added Beat The Clock to Active Tournament List. (10/10/2016) Added Heavy Derby to Active Tournament List. (10/3/2016) Added Chassis Swap-Up to Active Tournament List. (10/2/2016) Added Ribcage Rampage to Active Tournament List. (10/1/2016) Added GTM Robot Wars to Active Tournament List. (9/30/2016) Removed Revolution from Active Tournaments Lists and awarded a point to Lightning S. for a successful tournament. Added Wild Card Rally to Active Tournament List. (9/25/2016) Removed Dynamic 2uos from Active Tournaments Lists and awarded a point to Thrackerzod for a successful tournament. (9/9/2016) Added RNP: Sword of Glory to Active Tournament List. (9/5/2016) There was a spate of time in which I didn't edit this post due to lag from my phone making it impossible. However, moderating was continued as normal and this thread is now up to date. (7/27/2016) Removed Tricycle Takedown from Active Tournaments Lists and awarded a point to Thrackerzod for a successful tournament. Added Dynamic Duos 2 to Active Tournament List. Updated Tournament Wiki page. (7/22/2016) Added Wheely Tag Tournament II to Active Tournament List. (7/18/2016) Added The People's Choice to Active Tournament List. (6/25/2016) Removed Trios Of Terror II from Active Tournaments Lists and awarded a point to RedAce for a successful tournament. Updated Tournament Wiki page. (6/20/2016) Removed Rival Rumble from Active Tournaments Lists and awarded a point to Thrackerzod for a successful tournament. Added Tricycle Takedown and Bizarro World to active tournament lists. Updated Tournament Wiki page. (6/18/2016) Removed Back To The Roots from Active Tournament List and applied ban to Mystic 2000. Updated Tournament Wiki page. (6/8/2016) Added The Cauldron 2: DSL Edition to active tournament lists. Updated Tournament Wiki page. Removed The Forge from Active Tournaments Lists and awarded a point to Badger for a successful tournament. Updated Tournament Wiki page again. (5/30/2016) Removed The RA2 League from Active Tournament List and removed point from/applied ban to G.K. Updated Tournament Wiki page. (5/27/2016) Removed The Cauldron from Active Tournaments Lists and awarded a point to Geice for a successful tournament. Updated Tournament Wiki page. (5/16/2016) Removed The Perfect Axe-ample from Active Tournament List and removed point from/applied ban to Elementos. Updated Tournament Wiki page. (4/15/2016) Added Trios of Terror II to active tournament lists. (3/25/2016) Added The Forge to active tournament lists. (3/24/2016) Removed Britbongs vs Amerifats from Active Tournament List and removed point from/applied ban to 090901. (3/16/2016) Corrected Thrackerzod's score, added one host point for Death-Defying Decemberween Demolition Derby. Added Rival Rumble to active tournament list. (3/14/2016) Removed Ironbot Jr. and DSL 3 Finale from Active Tournaments Lists and awarded a point to Lightning S. and Bobyasianboy for their respective successful tournaments. (3/12/2016) Added The Cauldron and Back To The Roots to active tournament lists. Removed Throwback Throwdown from Active Tournaments Lists and awarded a point to RedAce for a successful tournament. (1/26/2016) Removed Death-Defying Decemberween Demolition Derby, RA2 Trials 5 and Pot Luck 2 from Active Tournament Lists and awarded point to Thrackerzod, STC and Conraaa for successful tournaments. (10/19/2015) Removed Fifteen to One from Active Tournament Lists and awarded point to Kurt for successful tournament. (10/14/2015) Removed Hells Arena 2/The Great Round Robin 2 from Active Tournament Lists and applied bans to Freeziez and Nicsan2009. Added Death-Defying Decemberween Demolition Derby to Active Tournament Lists. (9/8/2015) Removed Pot Luck from Active Tournament Lists and awarded a point to Lightning S. for a successful tournament. (8/22/2015) Added The RA2 League to Active Tournament List. (8/22/2015) Added Pot Luck 2 to Active Tournament List. (8/9/2015) Removed BTTB V from Active Tournament Lists and awarded a point to GK for a successful tournament. (7/20/2015) Added Chinese Whispers 4 to Active Tournament Lists. Removed Beetle Bashers 3 from Active Tournament Lists and awarded a point to RedAce for a successful tournament. (7/14/2015) Having moved Chinese Whispers 3 to Completed Tournaments, corrected Squirrel_Monkey's score. Had hosted 4 tournaments before losing a point for failing to complete CW3, not 3. (6/25/2015) Added Plan B to Active Tournament Lists. (6/24/2015) Added Britbongs vs Amerifats to Active Tournament Lists. (6/15/2015) Added BTTB V to Active Tournament Lists. (6/8/2015) Added Beetle Bashers 3 to Active Tournament Lists. (6/7/2015) Removed Samurai Showdown from Active Tournament Lists and awarded a point to Thrackerzod for a successful tournament. (5/30/2015) Removed Battlebots X and Robot Wars Series 8 from Active Tournament Lists. Awarded points to MassimoV and yugitom for successful tournaments. (5/22/2015) Added Father and Son Tournament 3 to Active Tournament Lists. (5/18/2015) Added RA2 Trials 5 to Active Tournament Lists. (5/13/2015) Removed BOTTALLICA! from Active Tournament Lists and awarded point to Craaig for successful tournament. (5/6/2015) Removed Total Elimination, FullImpact and Kawaii Fun Time Death Match Extreme Waifu Edition from Active Tournament Lists and awarded point to Thyrus (TE) and 090901 (KFTDMEWE) for successful tournaments. Applied ban to Agaton. (4/9/2015) Removed Donut of Destruction from Active Tournament Lists and awarded point to Thrackerzod for successful tournament. Added Samurai Showdown to Active Tournament Lists. (3/12/2015) Removed Robots in Space from Active Tournament Lists and awarded point to RedAce for successful tournament. (2/26/2015) Added HFT4 to Active Tournament Lists. (2/21/2015) Added Battlebots X and Donut of Destruction to Active Tournament Lists. (2/21/2015) Added Maximum Overkill 2: Armageddon to Active Tournament Lists. (2/17/2015) Removed Forum's Choice Annihilator from Active Tournament Lists and awarded point to yugitom. (2/15/2015) Added Kawaii Fun Time Death Match Extreme Waifu Edition to Active Tournament Lists. (2/6/2015) Added Total Elimination to Active Tournament Lists. (2/3/2015) Removed GREATEST TOURNAMENT OF ALL TIME from Active Tournament Lists and awarded point to 090901. (1/26/2015) Added Beetleweight Bash Micro, removed Clash Cubes 5th Anniversary Tour and applied ban to/removed point from JoeBlo. (1/19/2015) Removed New Blood First Strike and awarded point to Avalanche. (1/13/2015) Added FullImpact to Active Tournament Lists. Removed Ray Rice and awarded point to Helloface199. Removed The Last One Standing 2 (Natster) and All Stars (KOS) from tournament lists after long periods of inactivity after expiry. (1/3/2015) Added GREATEST TOURNAMENT OF ALL TIME to Active Tournament Lists. (12/7/2014) Added Robots In Space to Active Tournament Lists. (12/1/2014) Added New Blood: First Strike to Active Tournament Lists, added bans for Natster-104, S.H.I.E.L.D and KOS_Flow for unsuccessful (but still running, in the case of Natster/KOS) tournaments. (11/9/2014) Removed Dynamic Duos from Active Tournament Lists and awarded RedAce a point for successful tournament. (10/24/2014) Removed Blood Brothers from Active Tournament Lists and awarded 090901 a point for completing Mazakari's failed tournament. (10/23/2014) Added Fifteen to One to Active Tournament Lists. (9/30/2014) Removed HFT: Summer from Active Tournament Lists and awarded Helloface199 for a successful tournament. (9/27/2014) Added Hell's Arena 2 and Dynamic Duos to Active Tournament Lists. (9/15/2014) Removed Deadly Alliance and VG Showdown from Active Tournament lists and awarded El Chickenado and Freeziez a host point. (9/2/2014) Added Forum's Choice Annihilator to Active Tournament Lists. Removed Trios of Terror from Active Tournament lists and awarded RedAce a host point. (8/31/2014) Added Evolve to Active Tournament Lists. Removed Mutations and Maximum Overkill from Active Tournament lists. Mr AS awarded host point for MO, Naryar given 3 month ban for expiration of Mutations. (8/8/2014) Removed Undisputed from Active Tournament Lists and awarded a point to S.H.I.E.L.D for successful tournament. Added BOTTALLICA! and Scrapheap Challenge to Active Tournament Lists. (8/5/2014) Removed Father and Son 2 and Breaking Point 2 from Active Tournament Lists and awarded a point to yug1tom and Kurt Wylde for respective successful tournaments. (8/5/2014) Added The Last One Standing 2 to Active Tournament Lists. (8/4/2014) Removed Beetle Bashers 2 from Active Tournament Lists and awarded a point to RedAce for successful tournament. Added Trios of Terror to Active Tournament Lists. (8/1/2014) Removed The Last One Standing and RIP4 from Active Tournament Lists and awarded a point to Natster-104 and Craaig for respective successful tournaments. (7/27/2014) Added Father and Son 2 and RA2 All Stars to Active Tournament Lists, removed No Holds Barred and awarded a point to yug1tom for successful tournament. (7/21/2014) Added RIP4 to Active Tournament Lists, removed RA2 Trials 4 and awarded a point to STC for successful tournament. (7/20/2014) Added Minor Inconveniences 2 to Active Tournament Lists. (7/19/2014) Removed Tusslers 4 from Active Tournament Lists, awarded point to 090901 for successful tournament. (7/15/2014) Added The Great Round Robin 2 to Active Tournament Lists, added a 3 month ban to Mazakari for Blood Brothers failure, updated that 090901 is taking over Blood Brothers. (7/12/2014) Added Jaydee Wars and Breaking Point - DSL Standard Edition to Active Tournament Lists, removed The Great Round Robin and awarded a point to nicsan2009 for a successful tournament. (7/6/2014) Added VG Showdown and Beetle Bashers 2 to Active Tournament Lists, removed BattleBots 9 and Minor Inconveniences from lists, awarded host points to MassimoV and Elementos for respective successful tournaments. (7/2/2014) Added The Last One Standing to Active Tournament Lists. (6/28/2014) Removed Beetle Bashers from Active Tournament Lists and awarded a point to RedAce for a successful tournament. (6/26/2014) Added HFT: Summer 2014 and No Holds Barred to Active Tournament Lists. (6/22/2014) Added The Great Round Robin and Maximum Overload to Active Tournament Lists. (6/19/2014) Added Beetle Bashers to Active Tournament Lists. (6/18/2014) Removed Powers of Three from Active Tournament Lists and awarded a point to Kurt Wylde for successful tournament. (6/17/2014) Added RA2 deadly alliance to Active Tournament Lists. (6/15/2014) Removed Super Smash Bots from Active Tournament Lists and awarded a point to Mr AS for successful tournament. (5/26/2014) Added RA2 Trials 4 to Active Tournament Lists, and removed Two To Tango 2 while applying ban and penalty to Conraaa. (5/26/2014) Added Father and Son Tournament and Mutations to Active Tournament Lists. (5/24/2014) Removed RA2 World Tournament and added Tusslers 4 to Active Tournament Lists, and awarded a point to 090901 for a successful tournament. (5/15/2014) Removed Rob Collins from ban list after ban expiry, added Robot Arena 2 2014 World Cup to Active Tournament Lists. (5/10/2014) Removed Centripetal Force and Natural Selection from Active Tournament Lists and awarded 1 point to both Craaig and KOS_Flow for successful tournaments. (5/3/2014) Removed Robo Revolution from Active Tournament Lists due to expiry of conditional extension. Ban applied and 1 host point removed. (4/22/2014) Added Super Smash Bots to Active Tournament Lists. (4/21/2014) Added Centripetal Force to Active Tournament Lists. (4/19/2014) Added Battlebots 9 to Active Tournament Lists. (4/14/2014) Added Blood Brothers to Active Tournament Lists. (4/13/2014) Added Minor Inconveniences to Active Tournament Lists. (4/2/2014) Added Powers of Three to Active Tournament Lists. (3/29/2014) Removed Keep Your Enemies Close from Active Tournament Lists and awarded a point to Kurt Wylde for a successful tournament. (3/17/2014) Removed Blades of Glory from Active Tournament Lists and awarded a point to Elementos for a successful tournament. (3/12/2014) Removed Orphans from Active Tournament Lists and awarded a point to Mazakari for a successful tournament. (3/8/2014) Added Natural Selection to Active Tournament Lists. (2/27/2014) Added Helloface's RA2 World Championships to Active Tournament Lists. (2/17/2014) Removed Around The World 2 from Active Tournament Lists and added 1 point to Mr Awesumsauce for a successful tournament. (2/11/2014) Removed RNP: Sword of Glory from Active Tournament Lists due to cancellation by host. Ban applied and 1 host point removed. (2/3/2014) Added Orphans to Active Tournament Lists. (1/26/2014) Added Clash Cubes - 5th Anniversary Tour and Robo Revolution to Active Tournament Lists. (1/16/2014) Added Keep Your Enemies Close to Active Tournament Lists. (1/16/2014) Removed Breaking Point from Active Tournament Lists and awarded a point to Kurt Wylde for a successful tournament. (1/11/2014) Removed Battlebots 8 from Active Tournament Lists and awarded a point to MassimoV for a successful tournament. (1/1/2014) Added RNP: Sword of Glory to Active Tournament Lists. (12/26/2013) Removed RNP: Hostile Theatre from Active Tournament Lists and awarded a point to Rob Collins for successful tournament completion. (12/25/2013) Added Breaking Point to Active Tournament Lists. (12/24/2013) Added Blades of Glory to Active Tournament Lists. (12/19/2013) Removed IRL Fall 2013 Tournament from Active Tournament lists - no point was awarded due to late completion. Added RNP: Hostile Theatre and Battlebots 8 to Active Tournament Lists. (12/17/2013) Changed Entry Level Tournament Rules. (11/6/2013) Removed Mutations and Bully from active tournament lists, added Naryar and S.H.I.E.L.D to ban lists. Added conditional extension for Fall 2013 Tournament. (11/5/2013) Removed The Kings from Active Tournament lists and added a point to Paranoia for a successful tournament. (10/31/2013) Removed RA2 Olympics: Tokyo from Active Tournament lists and added a point to MassimoV for a successful tournament. (10/13/2013) Removed Blades of Fury 3 from Active Tournament lists and added a point to Badnik96 for a successful tournament. (9/8/2013) Removed Poker Night at the Arena from Active Tournament lists and added a point to Rob Collins for a successful tournament. Also removed Sylandro from ban list after ban expiry. (8/30/2013) Added Paranoia's The Kings to active tournament lists (Not sure how I missed it the other day - sorry). Also, corrected the active tournament counters. (8/27/2013) Added 1 point to each 090901, MassimoV and Jonzu95 for successful tournaments. Removed 1 point from each JoeBlo and Martymidget. Added Martymidget, JoeBlo and to ban list. Removed Clonathon, See No Evil, Battlebots 7 and CombatAnts 3 from active tournament lists. Added Bully, Mutations, RNP: Poker Night at the Arena, IRL Fall Tournament 2013 and Around the World 2 to active tournament lists. Removed NFX from contact list, added Craaig. (8/5/2013) Fixed some formatting issues related to the countdown tag being changed and fixed a few spelling mistakes. (8/2/2013) Removed Helloface's DSL2 Summer 2013 Tournament from the active tournaments lists and awarded 1 point to Helloface199 for a successful tournament. (7/29/2013) Removed Heavy Metal from the active tournaments lists and awarded 1 point to Lightning S. for a successful tournament. (7/8/2013) Removed Enigma from the hosting ban list and fixed a spelling mistake. (6/22/2013) Removed Trovaner as the person to contact and replaced it with NFX and G.K.
(6/21/2013) Badnik's Blades of Fury 3 and Craaig's Robot Wars 2005 have been added to the active tournaments list. (6/20/2013) MassimoV's Battlebots 7 has been added to the active tournaments list. (6/19/2013) Removed RIP3 from the active tournaments lists and awarded 1 point to Craaig for a successful tournament and 1 point for a successful tournament that wasn't previously included. (6/17/2013) Removed expired bans from the Hosting Ban List and added Sylandro for letting Guardians in Exile expire. (5/31/2013) Added Heavy Metal, Two to Tango Two, and Helloface's DSL2 Summer 2013 Tournament to the active tournament lists. (5/30/2013) Removed Battlebots 6 and gave MassimoV a point for a successful tournament. (5/29/2013) Removed NORMIES VS FREAKS and The HoriZon from the active tournaments list. Venko and Rob Collins earned a point for their respective tournaments. (5/16/2013) Removed Evo-Bots and added a point to Ianh05. (5/4/2013) Added Tusslers 3 and RNP: The HoriZon to the active tournaments list. (5/3/2013) Removed Tusslers 2 from the active tournaments list and added a point to 090901. (4/27/2013) All Round Bot Builder Championship was removed from the active tournaments list and ian05 received a point for a successful tournament. (4/24/2013) Added Evo-Bots: Bots That Evolve to the Major League tournaments list. Around the world was removed from the active tournaments list and Mr. AwesumSauce received a point for a successful tournament. (4/23/2013) Added NORMIES VS FREAKS and Martymidget's Tournament to the Entry Level tournaments list. (4/22/2013) Megaman: RA2 Edition was removed from the active tournaments list and Lightning S. received a point for a successful tournament. (4/9/2013) Enigma was added to the tourney ban list after allowing ROBO RASSLIN' to expire. (3/25/2013) Battlebots 6 and CombatAnts 3 have been added to the Major League tournaments list (I forgot to add Battlebots when I moved it to signups). (3/20/2013) Improved formatting of lists. (3/10/2013) The Entry Level and Major League lists have been updated with the tournaments that have advanced to signups. NOTICE: Tournament Management has been overhauled. 1. Entry Level and Major League hosting division removed in favor of just having one Active Tournament list. Any users who are banned from the forum are no longer allowed to participate in tournaments going forward. Additional changes may be coming.